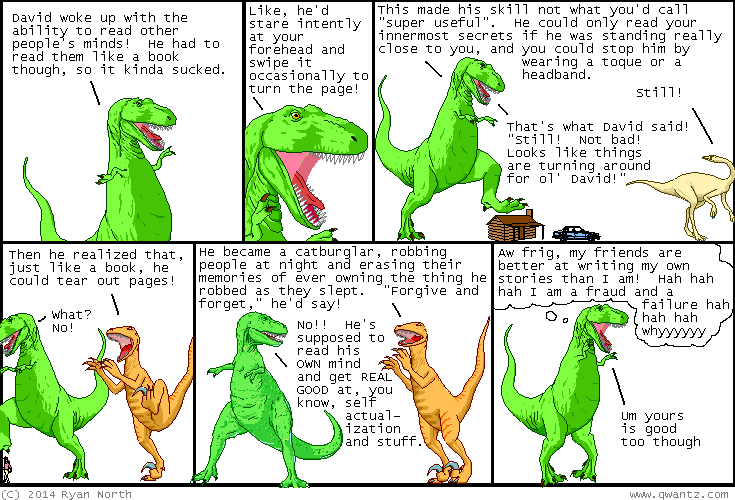 Dinosaur Comics - August 26th, 2014 - awesome fun times! –Much as a watch implies a watchmaker, so does our Universe imply divinity! August 26th, 2014: ATTENTION EVERYONE: I hope you're having an excellent Tuesday today! !